The union representing the California Orange County sheriff’s deputies Friday blasted a decision by the Attorney General’s Office to not pursue criminal charges in a fight between a criminal defense attorney and an Orange County District Attorney investigator. 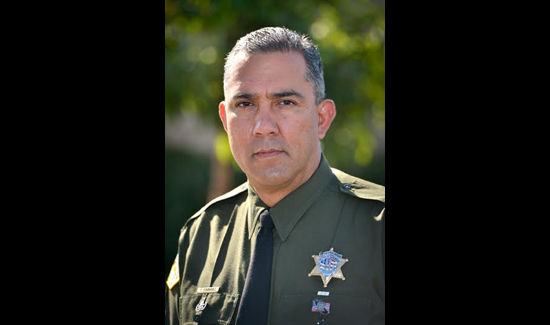 “It is truly unfortunate that criminal defense attorney James Crawford is being allowed to get away with attacking a sworn peace officer without any consequences,” said Tom Dominguez, the president of the Association of Orange County Deputy Sheriffs. Steering said he “expected” the decision from state prosecutors. The Attorney General’s investigators conducted “nearly a dozen follow- up interviews with witnesses” and also reviewed surveillance video and other witness statements. The attorney general had to punt because there was no way to tell if it was Crawford or investigator Dillon Alley who was acting in self-defense. Steering said the county has already rejected a claim filed by Crawford and that he is preparing a civil suit that will be likely filed in federal court soon. The March 9 scrum happened soon after Crawford won a new trial for a client in a murder case over allegations that prosecutors failed to turn over evidence about an informant. Crawford claimed Alley beat him up, but some witnesses contended Crawford slapped Alley first, which Steering denies. A translator assisting Alley in a case said the fight began the hallways of the Central Justice Center in Santa Ana when Alley was talking to a witness and her husband. Crawford approached them and asked for the witness’ name, which led Alley to demand the attorney’s identity, the translator said in an affidavit. Crawford replied, “What difference does it make? I was appointed by the judge to represent her,” according to the court interpreter. Alley replied that he wanted to know because the witness had been harassed by someone in the defendant’s family. The two went down the hall to talk some more “for a few minutes,” but when they returned to the witness Crawford angrily insulted Alley with expletives, according to the translator. Moments later, Alley allegedly flicked a binder clip at Crawford, which bounced off the lower part of his jacket, according to the translator. Crawford then allegedly picked up the clip and hurled it back at Alley, prompting the fistfight, according to the translator. The interpreter also said at some point as police tried to break it up, Alley declared that “he hit me first” and attempted to back away, but the defense attorney kept lunging at him and yanking his tie. Watch The Culture High, and take note of what “Peace Officers” have been doing, and no, people generally don’t feel they are the keepers of peace anymore. In CA police don’t uphold the laws of CA, protecting Californians. They rally together with the DEA, and destroy the livlihood of LEGAL dispensaries. There’s far too much racial profiling, and to top it off, now we have private prisons with population rates contacted by the government! That in and of itself will set people on edge! Take responsibility if you want to be trusted by the people of the U.S., otherwise this country will remain embroiled in the distrust that currently exists.